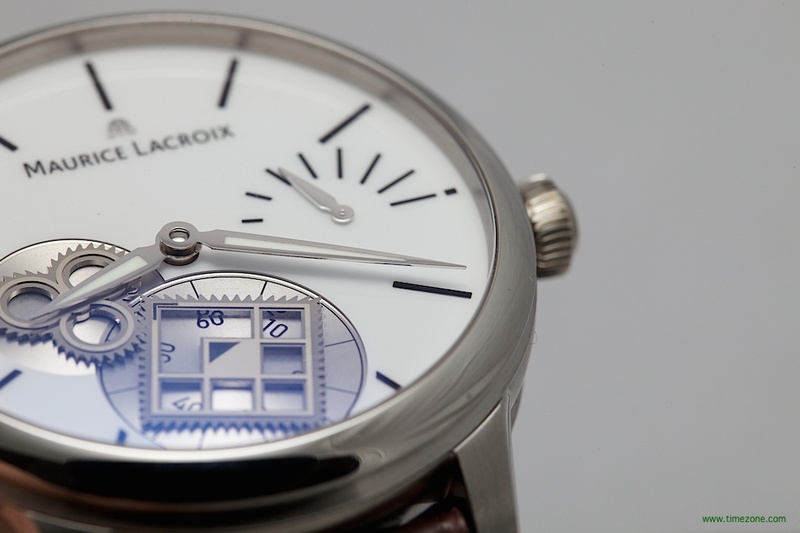 For 2014, Maurice Lacroix presents a number of impressive new models from the avant-garde to the sportif. 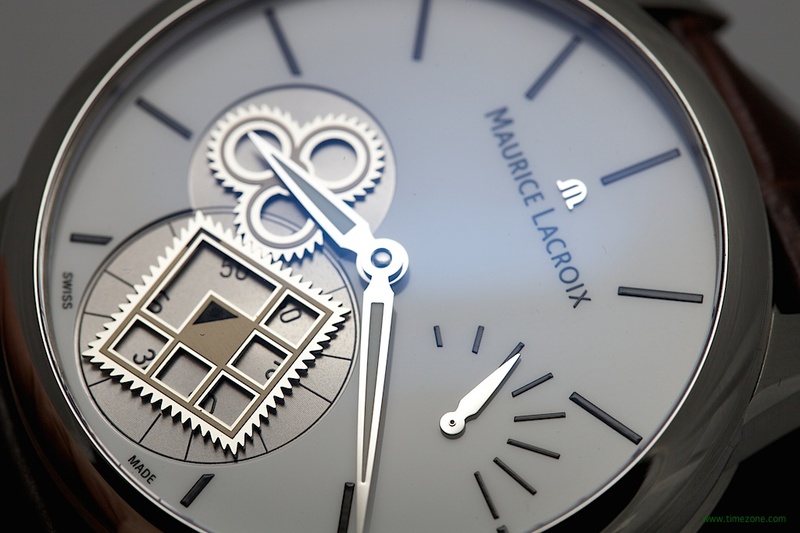 The Masterpiece collection is the top of the pyramid at Maurice Lacroix. 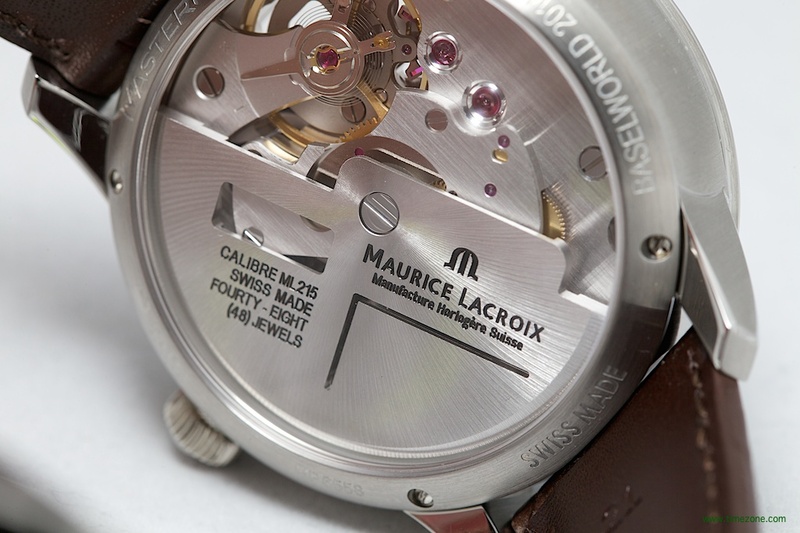 The Masterpiece collection offers inventive, clean designs with one of over a dozen manufacture movements. 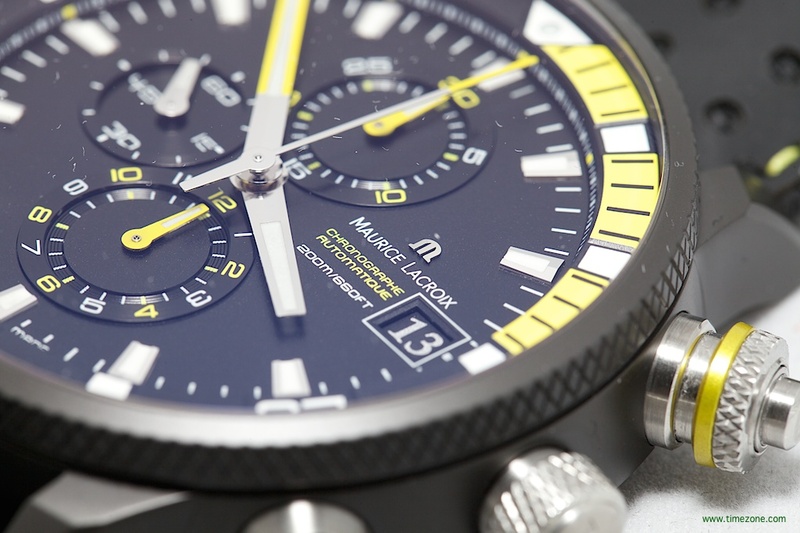 All this, plus the Masterpiece collection continues to impress with its reasonable pricing. 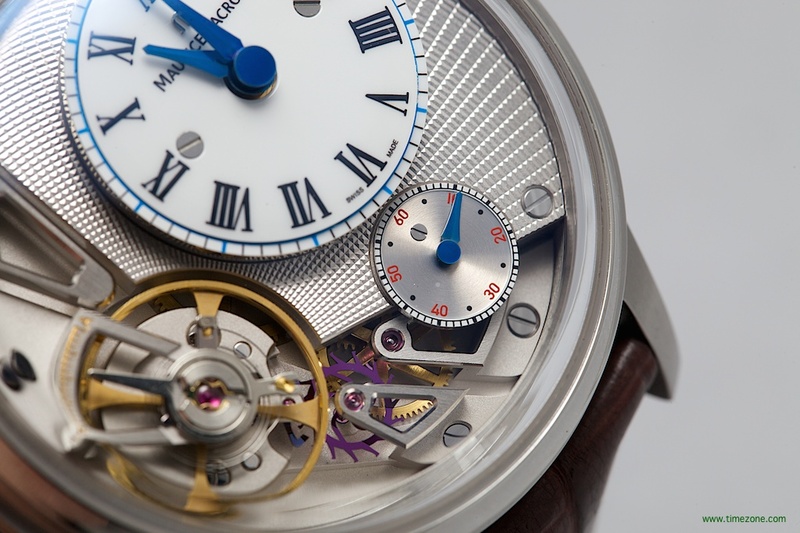 This year, the new additions to the Masterpiece collection include the Gravity that combines a contemporary design with a cutting-edge manufacture movement with silicon escapement; the Mystery dial adds colour for improved legibility; and new variations of the iconic Square Wheel. 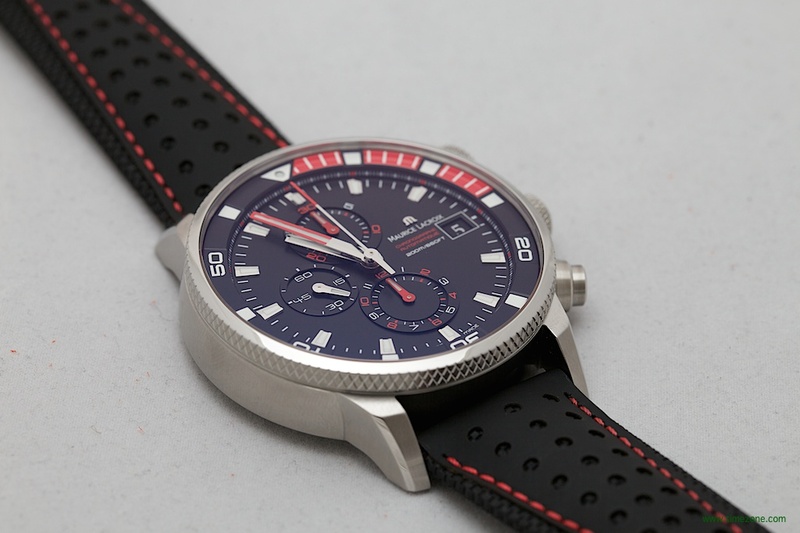 Also new this year, the Pontos S Supercharge updates the look of the popular sports watch with a knurled bezel and crown and then goes large on the case dimensions with a new 48mm diameter. 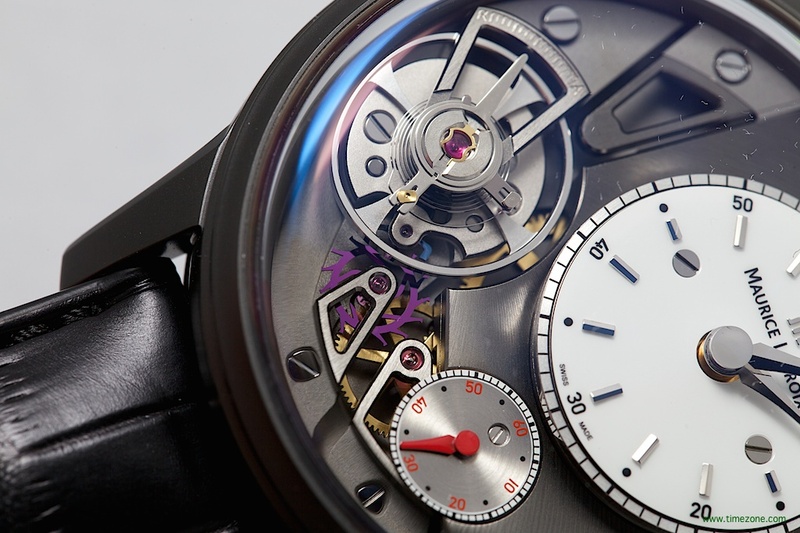 The new Masterpiece Gravity is a veritable feather in the brand’s cap. 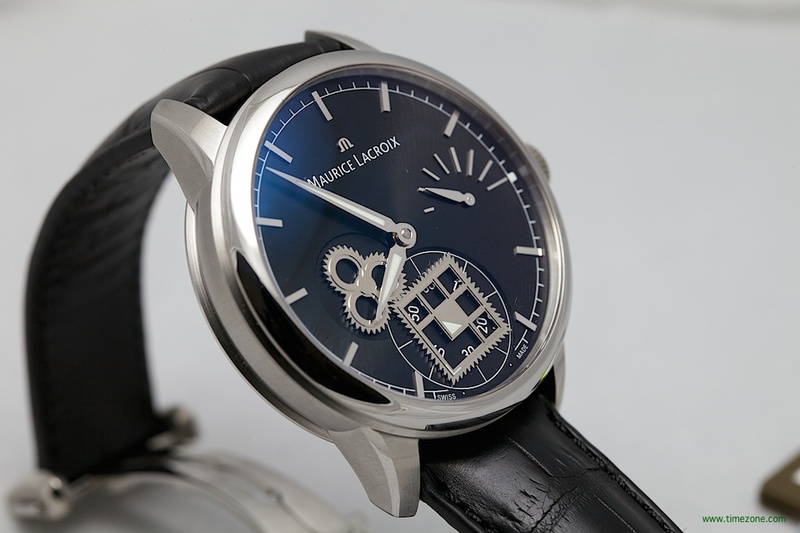 Not only is the design contemporary, but so is the cutting-edge manufacture Calibre ML230 with silicon escapement. 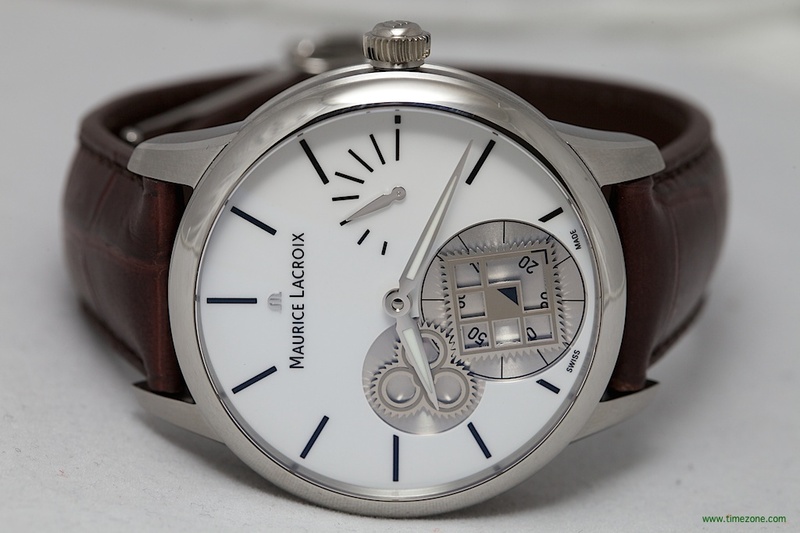 As one of the handful of watchmaking companies with the capability to manufacture its own escapement assembly (balance staff, pallet lever, pallet staff, escapement wheel and escapement wheel pinion), Maurice Lacroix is even more rarefied for having the technology to manufacture an entire escapement out of silicium. Silicium is a self-lubricating, glass-like material that is three times lighter than steel. 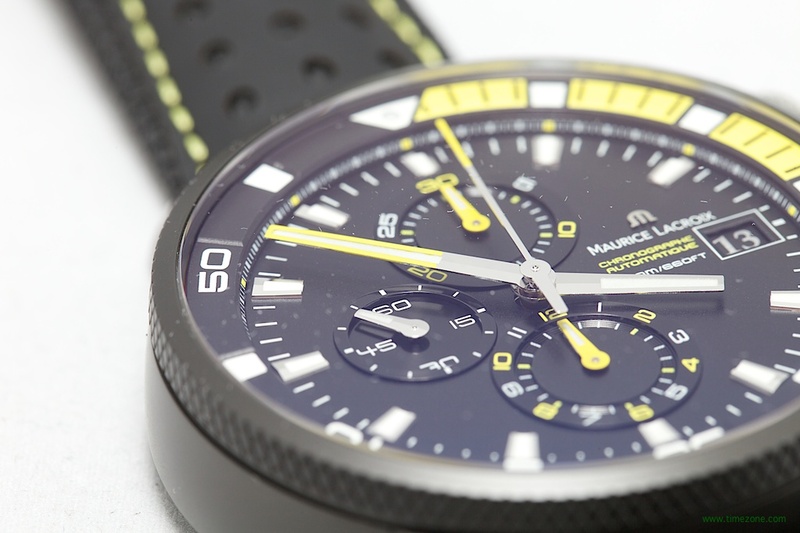 The Masterpiece Gravity is available in a Classical model with 43mm stainless steel case, and a Contemporary model with a 43mm stainless steel case with anthracite PVD finish. 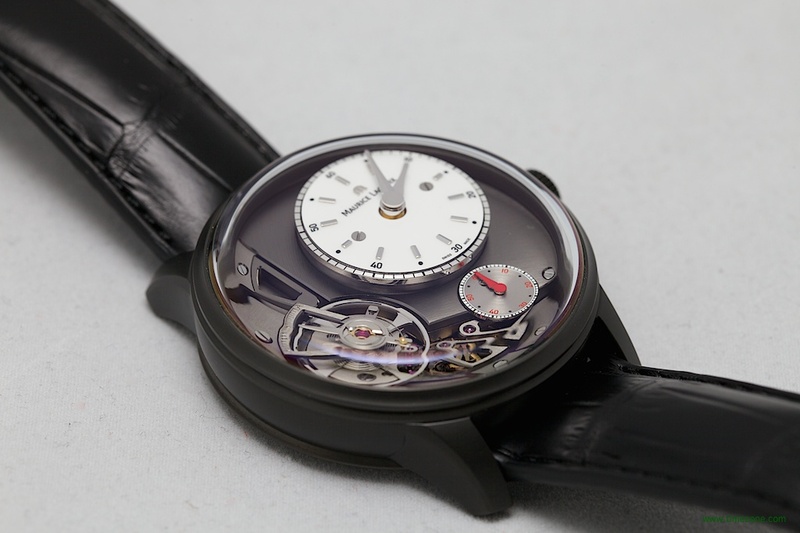 The domed sapphire crystal magnifies the fine finishing details, including the white lacquer off-centre dial, guilloché bridges and the distinct hue of the silicium balance wheel. 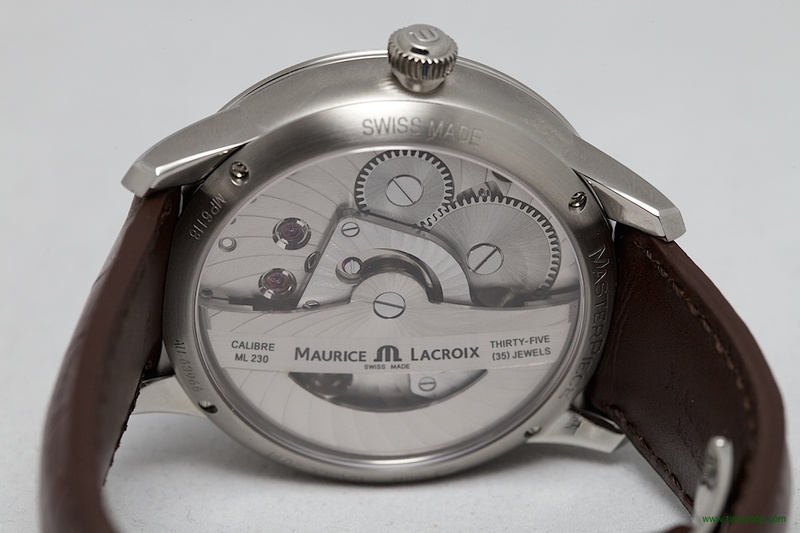 Each model is limited in production to 250 pieces each and priced at CHF 10’500. 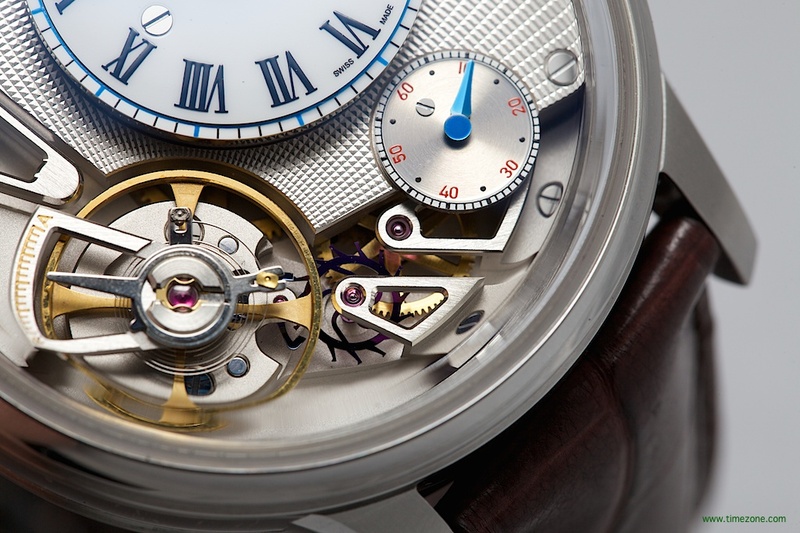 The Masterpiece Mystery has an openwork dial with an off-centre time display and a large mystery seconds display. 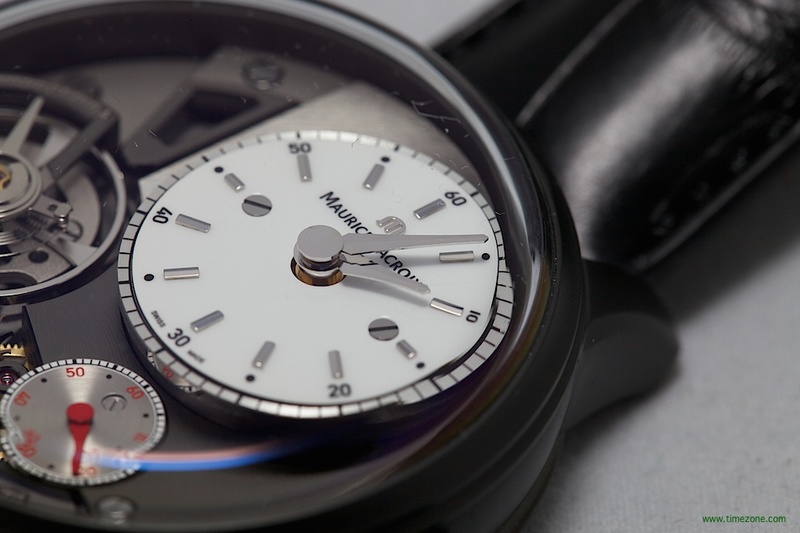 The seconds display has a hand that mysteriously floats under a vertical and horizontal axis. This year’s Masterpiece Mystery is available in Classic or Contemporary versions. 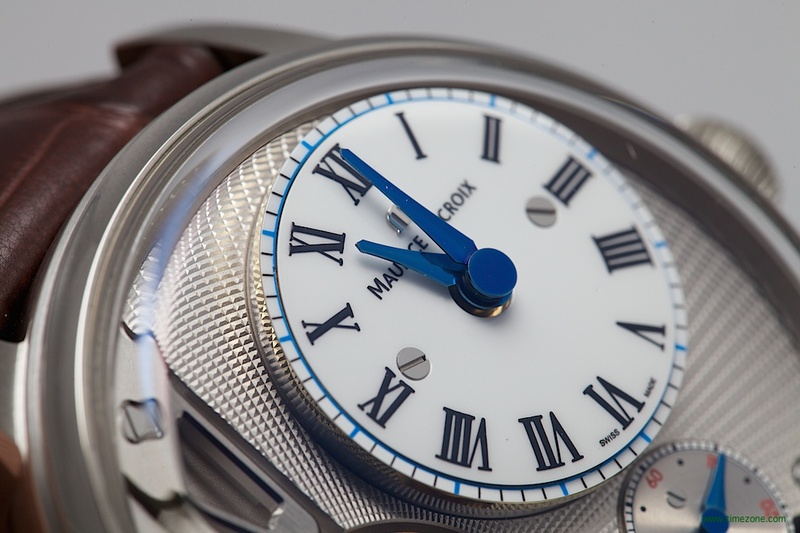 The Masterpiece Mystery Classic features a dark blue scale with the hours and minutes in white Arabic numerals. 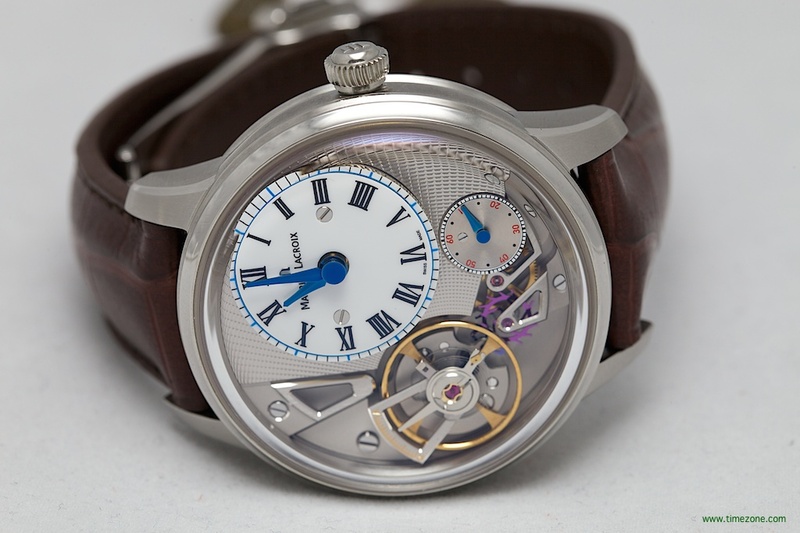 The seconds hand is tipped in blue on one end and black at the other end. 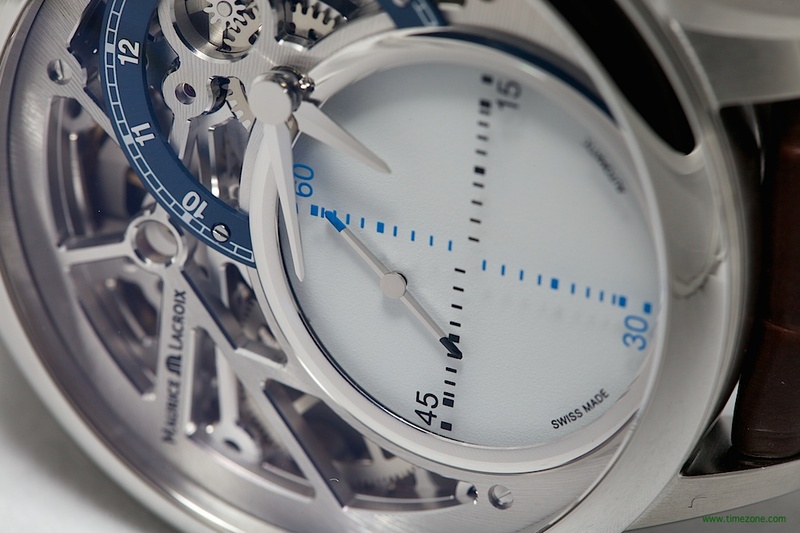 The seconds hand floats above the large seconds display under a blue vertical axis and black horizontal axis. 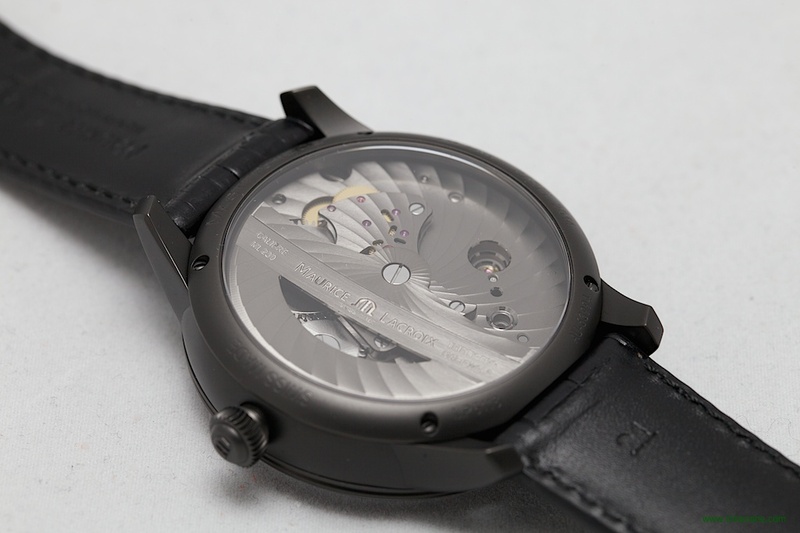 The Masterpiece Mystery Contemporary features a black scale with the hours and minutes in white Arabic numerals. 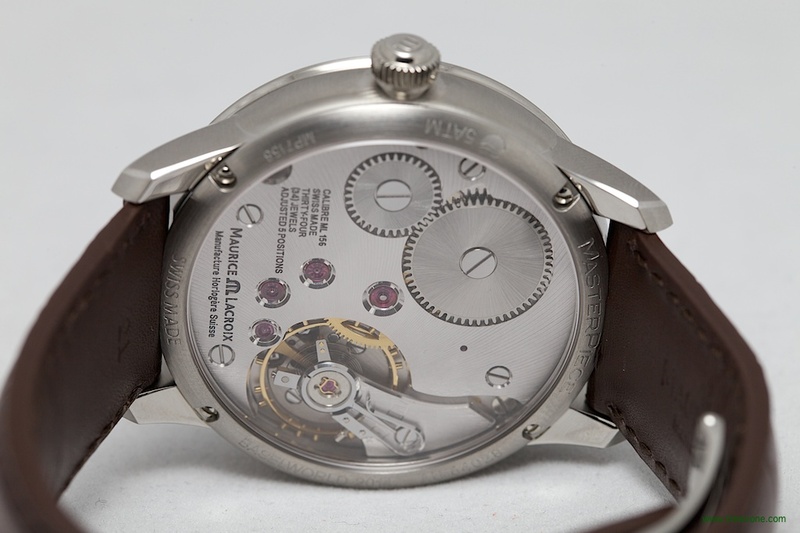 The seconds hand is tipped in white on one end and red at the other end. 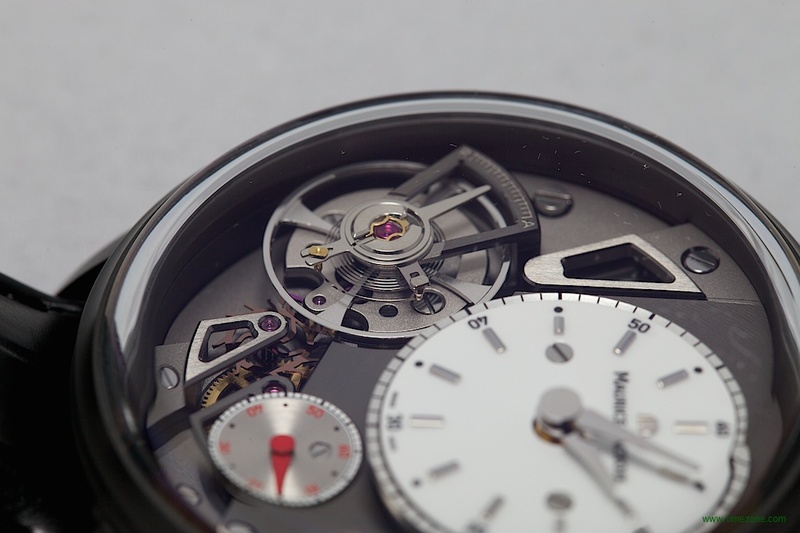 The seconds hand floats above the large seconds display under a white vertical axis and red horizontal axis. 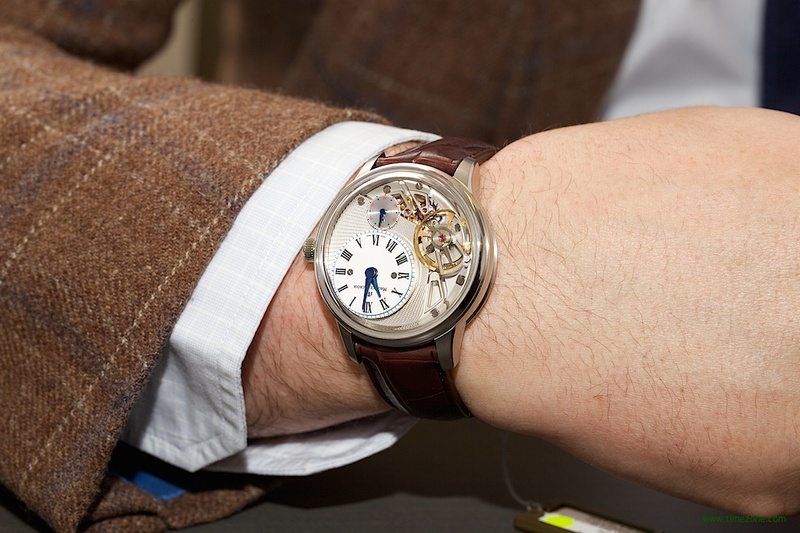 The Masterpiece Mystery has a 43mm stainless steel case and is powered by the manufacture Calibre ML215 automatic movement. 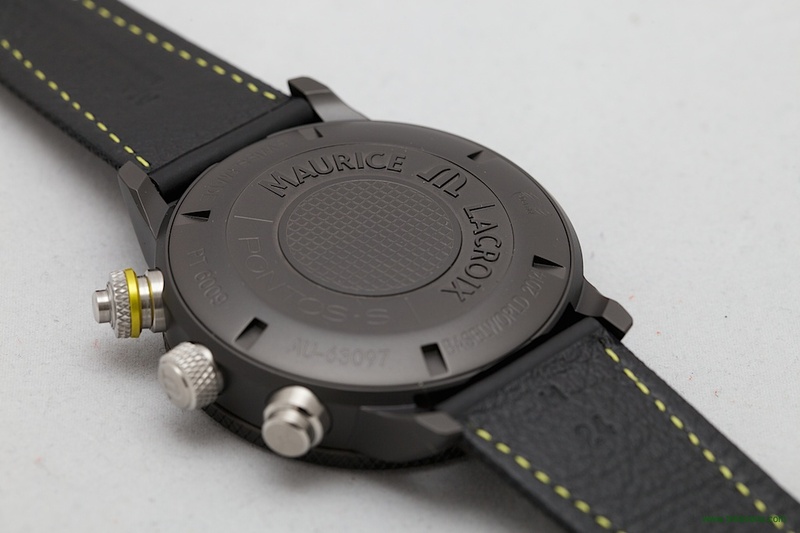 Each version is limited to 250 pieces each and priced at CHF 12’500. The Square Wheel is the M.C. 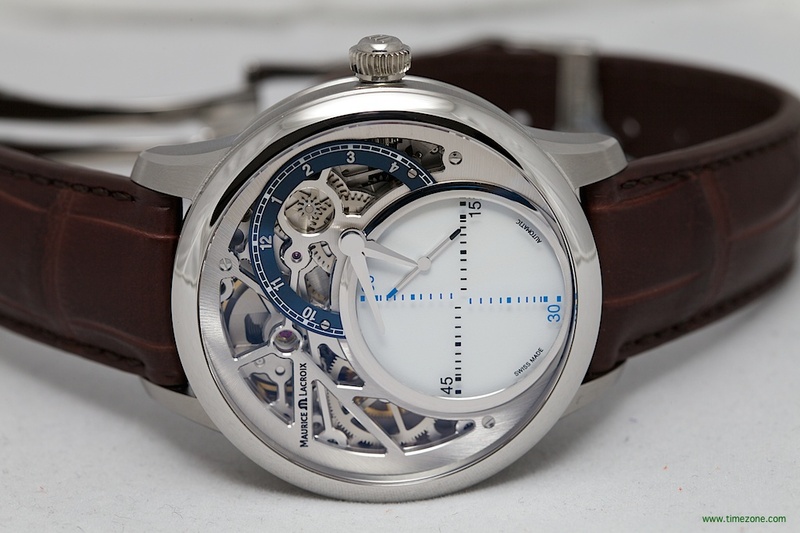 Escher of horology. Playing on architecture, perspective and impossible spaces, the Square Wheel dispenses with a normal dial to reveal a square wheel and a clover-shaped wheel that mesh perfectly. 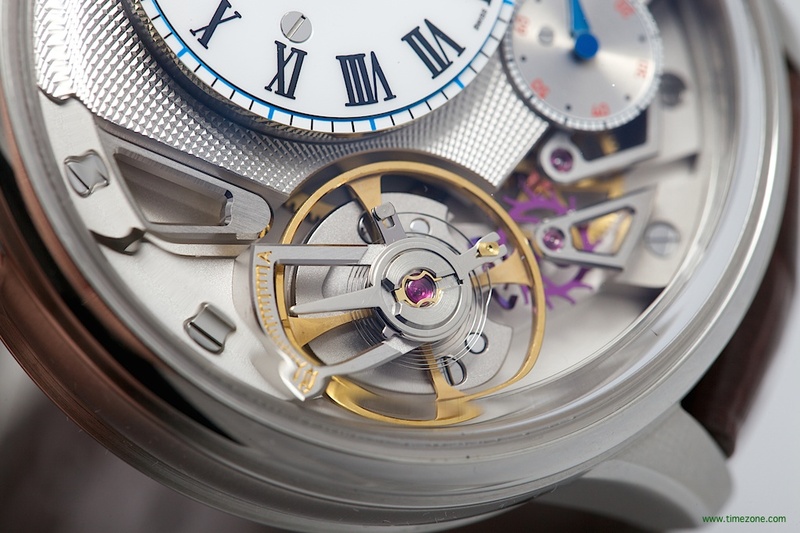 The complex wheel shapes on the dial are also functional components of the movement inside. Each wheel requires sophisticated UV-LiGA technology for high-precision tooth profiling to ensure that the wheels engage flawlessly and without any loss in power transmission. Clean and simple in appearance, the wheels are circular brushed to highlight their form and draw the eyes to their hypnotic motion. 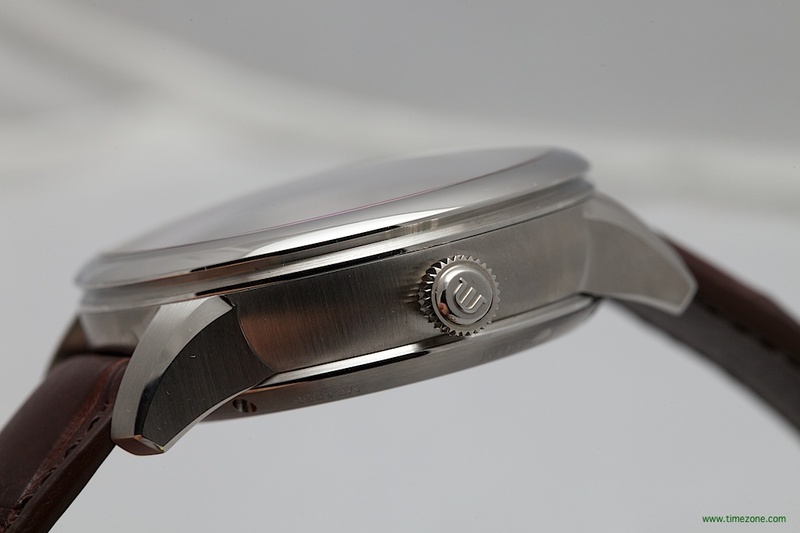 The 43mm stainless steel case is fitted with a domed sapphire crystal treated with antiglare on both sides. 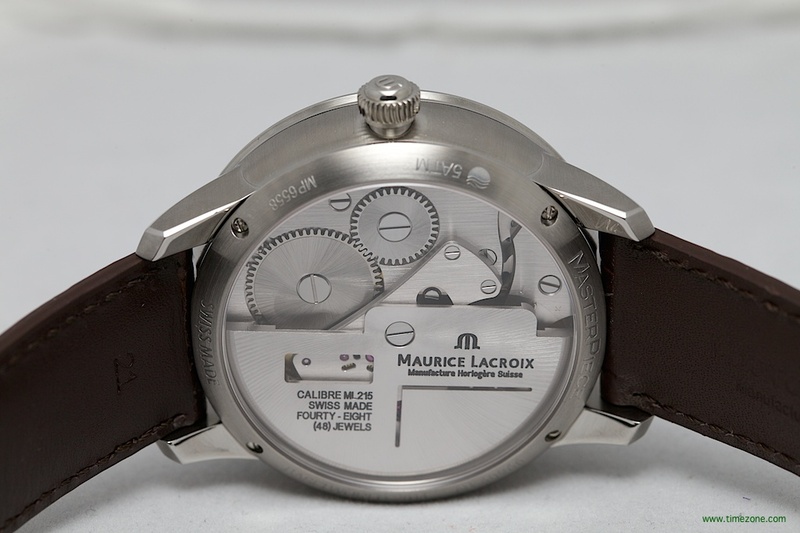 The timepiece houses the hand-wound manufacture Calibre ML156 that is manufactured and assembled in-house by Maurice Lacroix. Price is CHF 9’900. 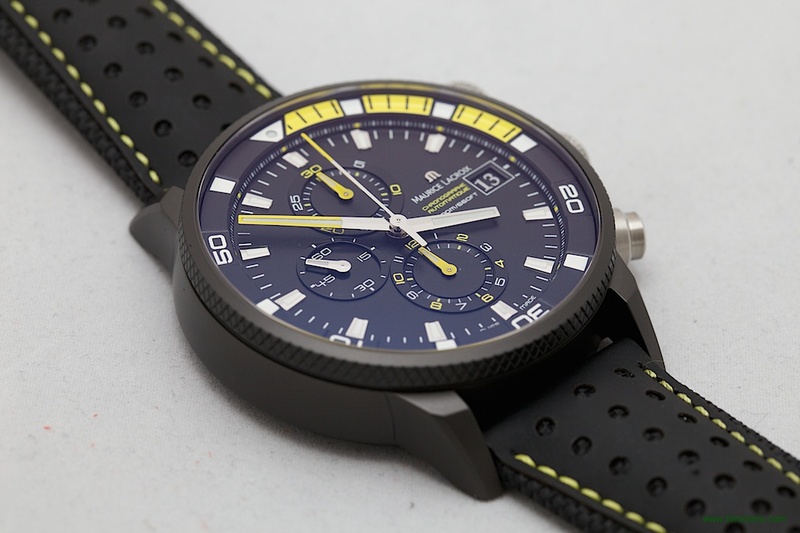 Finally, the popular Pontos collection adds the super sized 48mm Pontos S Supercharged. 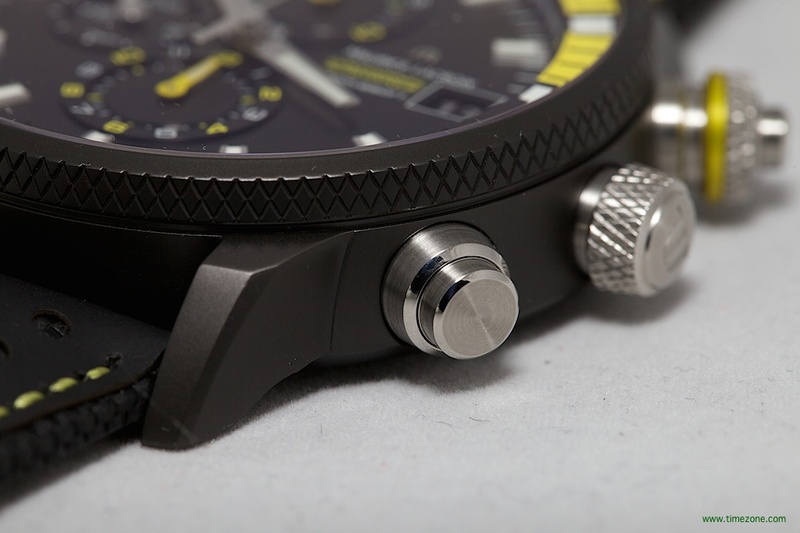 The sports chronograph has a new knurled outer bezel and crown, but the design otherwise remains unchanged. 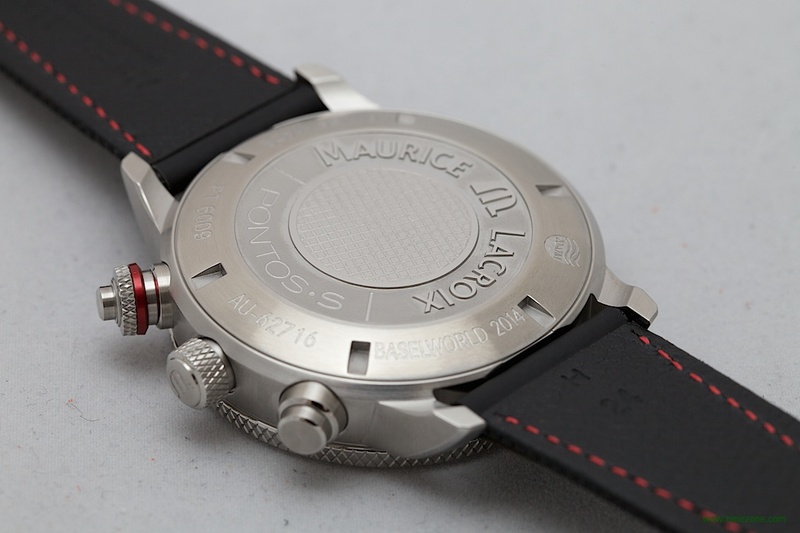 The dial is highly legible and is available with either red accents or yellow accents. 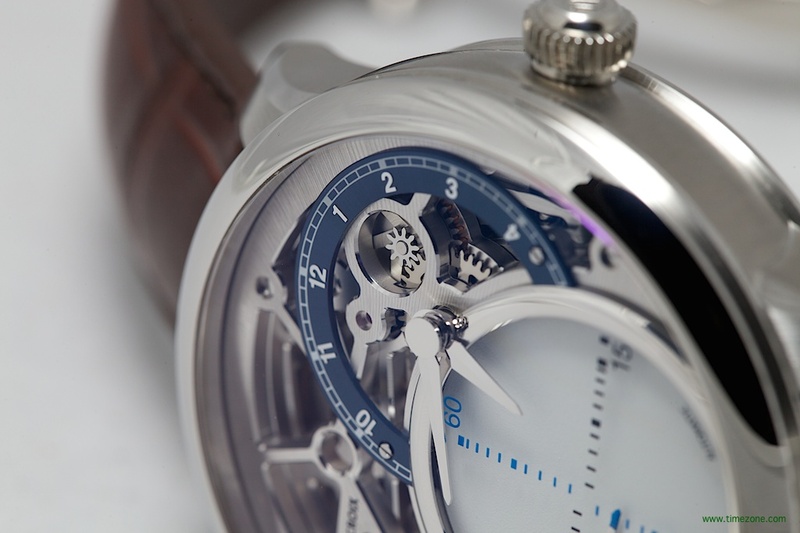 The timepiece houses a personalised ETA Valgranges automatic movement. 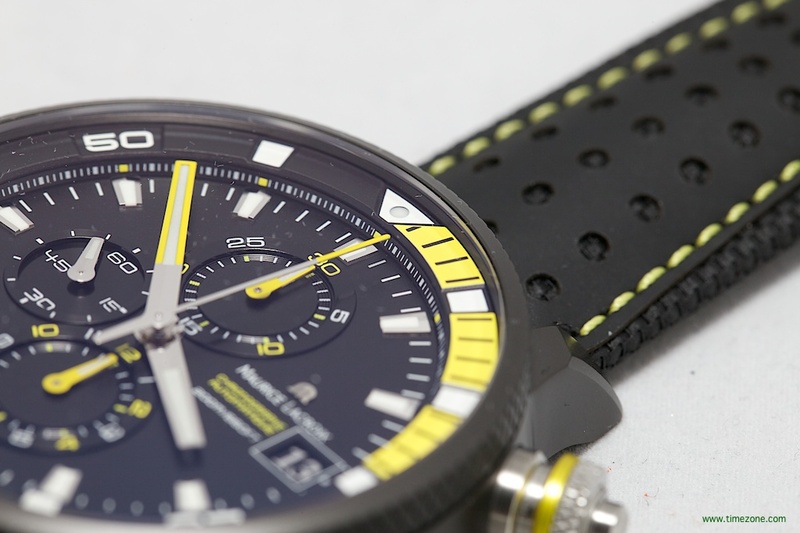 Prices are CHF 4’700 in red with stainless steel case, and CHF 4’900 in yellow with stainless steel case in anthracite PVD.